Conditions are rarely perfect when it comes to founding a startup -- but sometimes a new business can offer an unlikely calm within a storm of uncertainty. Sleeper, the luxury sleepwear brand founded by Asya Varesta and Kate Zubarieva, was not birthed the way most new fashion labels are born. It was November 21, 2013 and the country of Ukraine was in a full state of unrest. The government suspended talks for an agreement with the European Union. In what was termed “Euromaiden,” Ukrainians hit the streets of Maidan Nezalezhnosti in Kiev to protest the government's decision to choose a closer relationship with Russia and the Eurasian Economic Union, a decision believed to be fueled by widespread government corruption. Asya Vatesta and Kate Zubarieva. Despite the world seemingly crumbling around them, the founders remained committed to righting the wrongs of their government. Their business depended on it. It was a “nightmare” for Varesta, Zubarieva and their fellow “Maiden” activists. Marching in the streets, one of the greatest forms of positive civil disruption, worked. After the Civil Society prevailed in 2014, the founders moved fast. “All of our fears vanished completely. We stopped being afraid and became ready to start a new page in our lives,” says Varesta. Once the founders were able to move beyond survival of the moment and toward the potential of the future, Sleeper was formed with a brand mission infused with positive disruption and only $2,000 of co-owner capital. Sleeper was founded as a way for Varesta and Zubarieva to express a positive voice, one that would bring joy in the simplest of situations: relaxation and rejuvenation. “For us the comfort of our home is sort of a subculture; it’s a tiny religion we are so vigilantly preaching. It is candid and personal,” says Varesta. While sleepwear as streetwear has become a thing recently, at the time Sleeper was launched in 2014, it was really challenging to find elegant and luxury lounging clothes that could be worn outdoors. 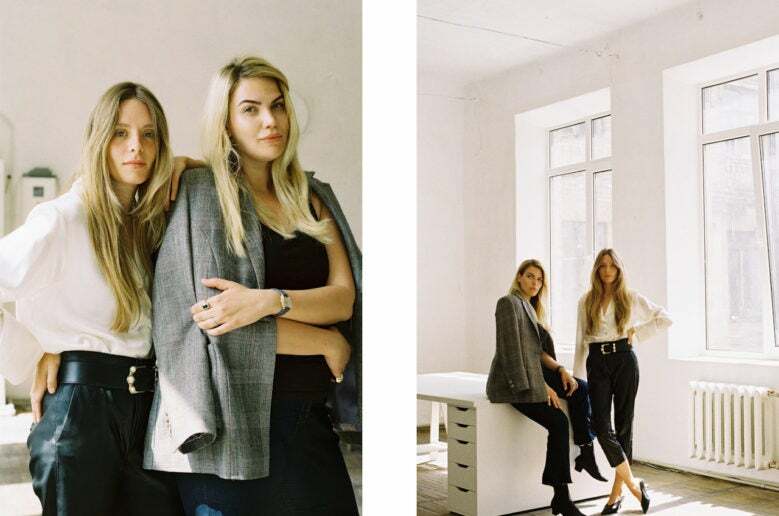 The founders met while working at leading fashion magazines in Russia and Ukraine. In true disrupter fashion, neither had ever designed clothes before starting their business. Their lack of experience showed through in their first collection, a black-and-white line that was a “disaster” and had to be taken apart and completely resewn in order to fulfill a requisition from a top retailer. True to their brand promise of positivity and social impact, Sleeper clothing is built upon ethical consciousness and artisan-manufacturing traditions. Each garment is made with natural, eco-friendly fibers like organic linen and silk. And because every Sleeper purchase is made-to-order, there is no excessive production. Each garment takes between 8 and 12 hours to sew by hand. My order, the Blur on Coal Set with Pants, took less than two weeks and has become an almost daily part of my wardrobe. Headquartered in Ukraine, Sleeper is currently planning to open a U.S. office with the hope of opening a flagship store in the near future. The ultimate goal is to house a learning center as part of a larger factory building where upcoming designers and fashion startups can learn and share industry experiences and educate new generations of seamstresses, embroiderers, engineers and technologists to design first-class clothes.